The Kiel based CITTI group has grown considerably in recent years, and together with JOMO under the joint company name of CHEFS CULINAR, has become one of Germany’s biggest grocery suppliers in the wholesale delivery sector. The company also operates shopping centers (with their own supermarkets) in northern Germany, as well as advising, planning and installing industrial catering facilities and supplying equipment for ships. Due to the company’s rapid growth and the variety of areas in which it operates, carrying out tasks has become increasingly complex. Previously, process knowledge often went undocumented and was spread across different departments. Their process management needed to be improved! With this, the business process management initiative began by recording the various departmental requirements in a process-orientated way, and documenting these results to make them available to all employees. 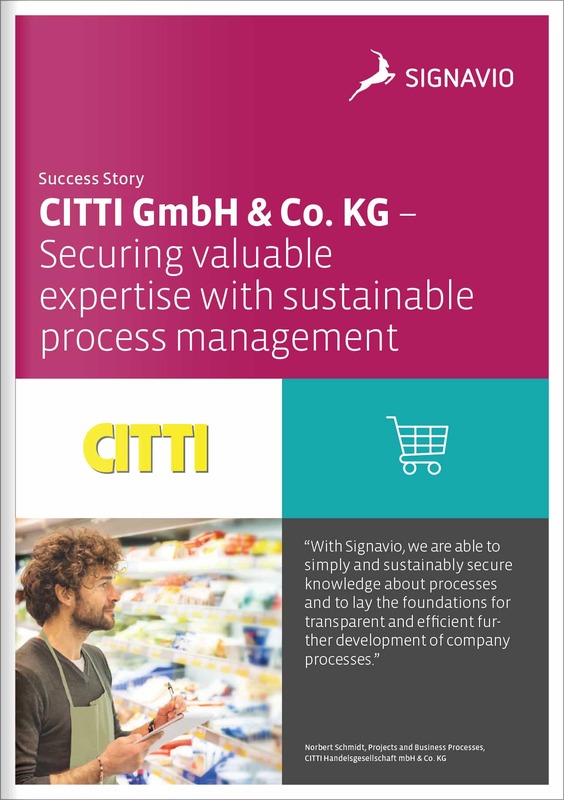 In the course of evaluating different software solutions, CITTI actively chose Signavio Process Manager because of the way it combines intuitive usability with the comprehensive function portfolio of modern BPM software. Thanks to the intuitive modeling language of BPMN 2.0; processes, responsibilities and weaknesses can be presented to IT, and other specific departments, in clear-cut process chains. The software commenting function is a popular feature which enables quicker decisions and more effective meetings. Through Signavio, the whole company now benefits from an integrated view of processes, which promotes mutual understanding between IT and other departments. *Learn yourselves how to meet and exceed operational excellence with our practical 7 step guide. 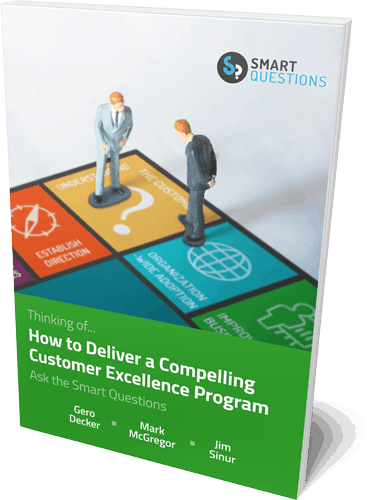 It provides clear, actionable steps and tips from process leaders on how to achieve operational excellence, independent of allegiances to any particular methodology.